From Yerevan we will move at 7:00 a. m. Our road will pass through the cities of Armenia Gavar and Vardenis, Lake Sevan will be visible on the road. The first stop will be the famous monastery complex Hayravank, which was built in the late 9th century, or the Church of Saint Astvatsatsin (Holy Mother of God) in Vardenis, built in 1905, where the Armenian historian Hovhannes Tsaretsi worked. After, our way will pass through the incomparable Karvajar’s mountains and Tartar’s river gorge. 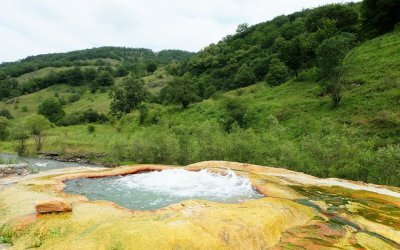 Our next destination will be the warm waters of Karvajar (Jermajur), there we may rest and relax in the medical and health zone, which is incredibly pleasant. 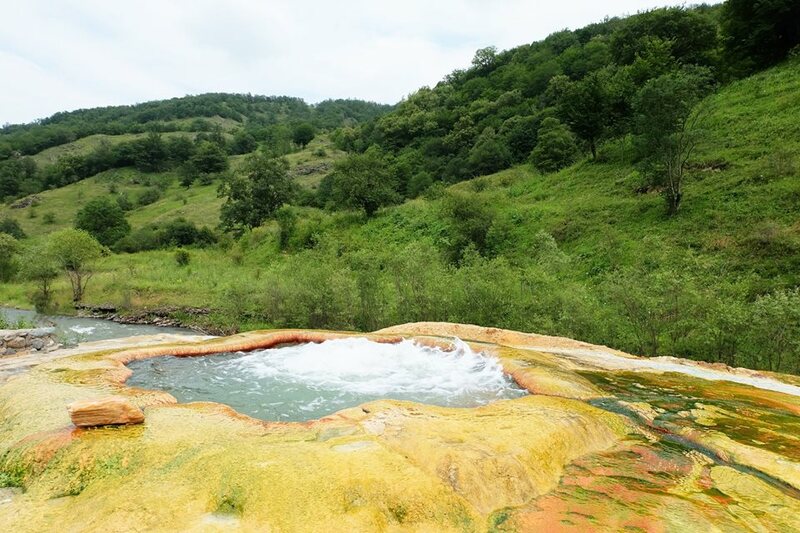 Further, the colorful mountain road will lead us to the amazing place Dadivank. 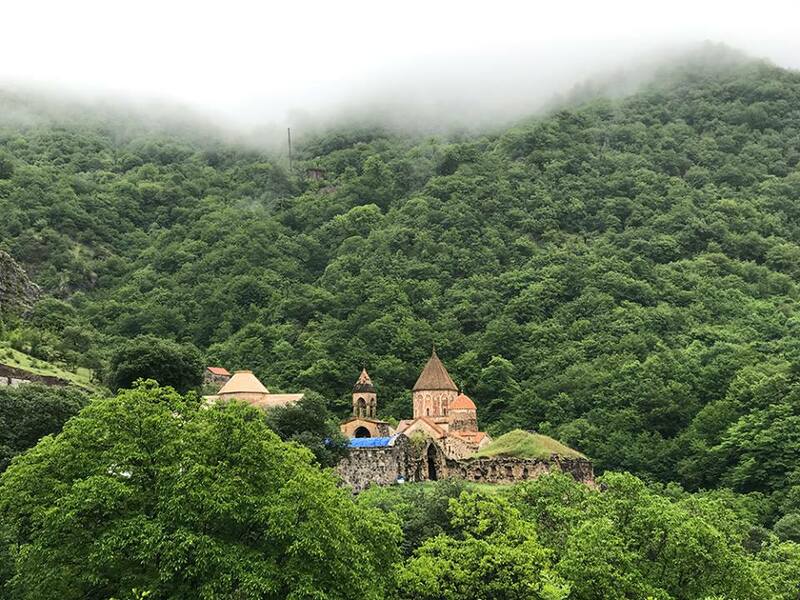 The monastery was founded by St. Dadi, a disciple of Thaddeus the Apostle who spread Christianity in Eastern Armenia in the first century AD. The main parts of the monastery were built in the 9th century and the period in which the monastery took its original unique shape was the 13th century. Historians say that Mkhitar Gosh lived in Dadivank, when he worked on his Datastanagirk (Law Code). 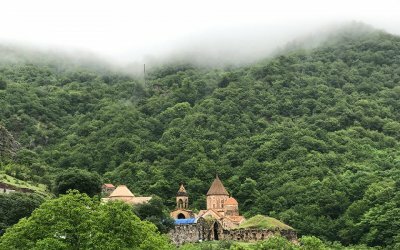 The Dadivank complex includes two chapels, two churches, monastic cells, a porch, a chapel, a bell tower, a book depository, hotels, workshops and other buildings. The Dadivank Monastery was liberated in March 1993. In 1994 following the end of the Nagorno-Karabakh war, the monastery was reopened and consecrated. The outside part of the Church is decorated with wonderful patterns and ornaments, and the internal part of the Church is covered with the luxurious frescoes and inscriptions. We will return to Yerevan, with new impressions, historical knowledge and positive energy, in the evening.